Washi tape (also known as masking tape) is a decorative Japanesee tape that comes in the prettiest patterns and colors. There are hundreds of different styles, with all the patterns you could ever think of. I do love washi tape and everybody who loves design, handicraft and colors should love washi tape too. 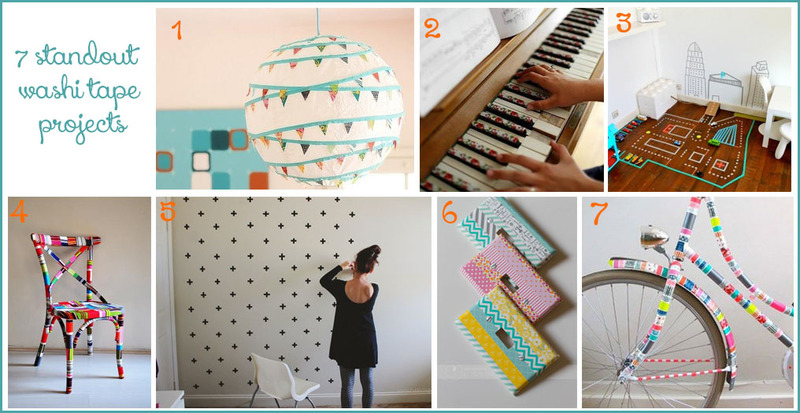 Here are 7 awesome projects made with washi tape that will convince you to order some. 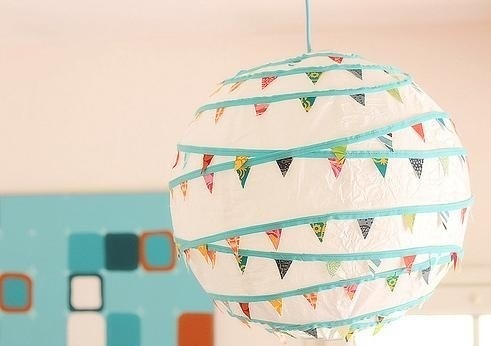 This is a great way to turn a plain white £1 Ikea paper lantern in something unique and colorful. You can find the tutorial here on the Bonjour Quilt website. I wouldn’t have thought of decorating the black keys of a piano (black keys have to be black, right?) and I don’t think that the boyfriend would let me do it on our piano, but nevertheless, I think it looks great! I love this idea! 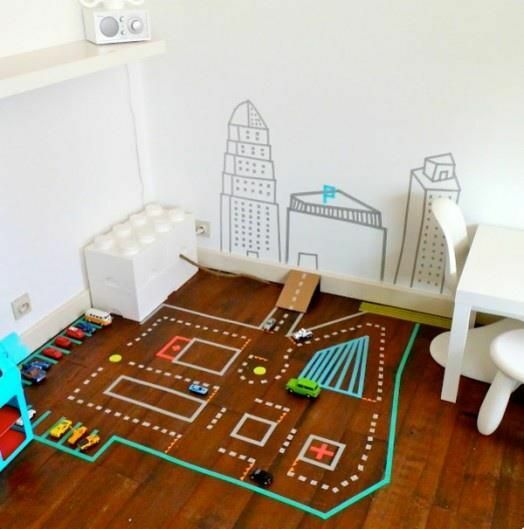 Making a car track with washi tapes mean that you can super easily remove or update it. Such a cool and cheap idea by Le Jardin de Juliette. 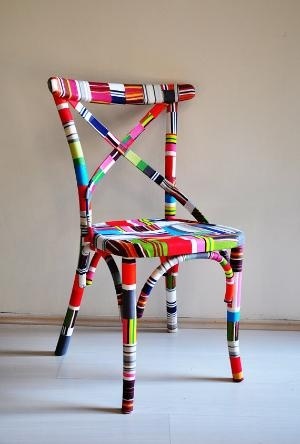 How to turn an old chair in a design chair? With washi tape! And probably a bit of varnish too. From dull switch covers to cool ones. This project is suggested by the Dutch shop Hema and is a great way to give colors to a rusty bike. You can read more (in dutch) about it here. 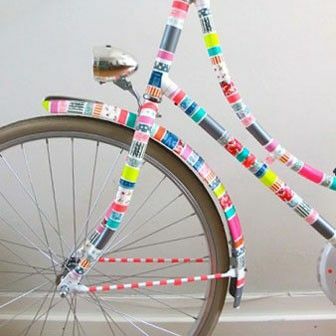 So, are you convinced yet that washi tape is a must have? 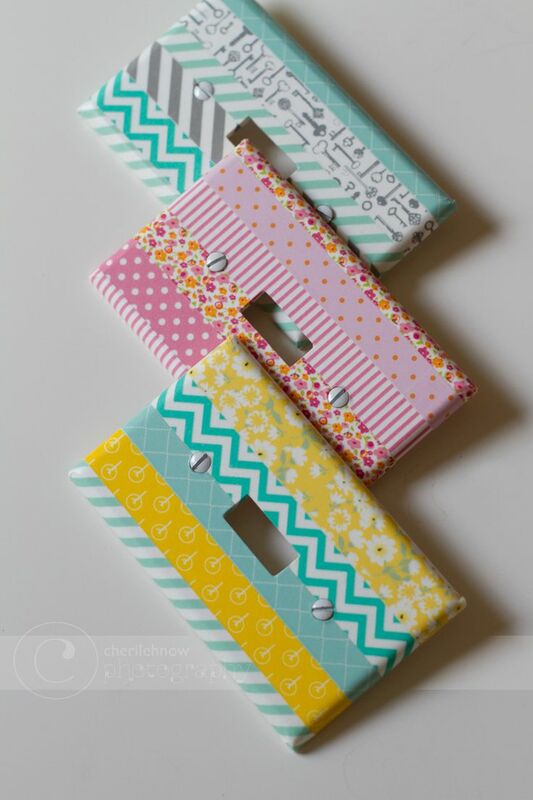 Are you going to tackle your first washi tape project? If so, send me pictures!